The first time we visited “Open the Door” was around the time they celebrated their one year anniversary and we played “The Magicians Power“. This time we returned to play their newest game “The Dragon Cave“. They have closed their game “Torture Chamber”, so the total number of games is still three. 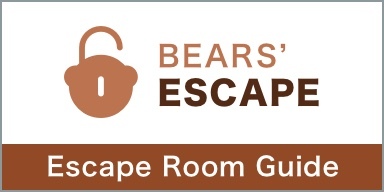 After we’ve played our first room with our Bears Escape experts group, we got a very special group for our turn in the Dragon Cave. 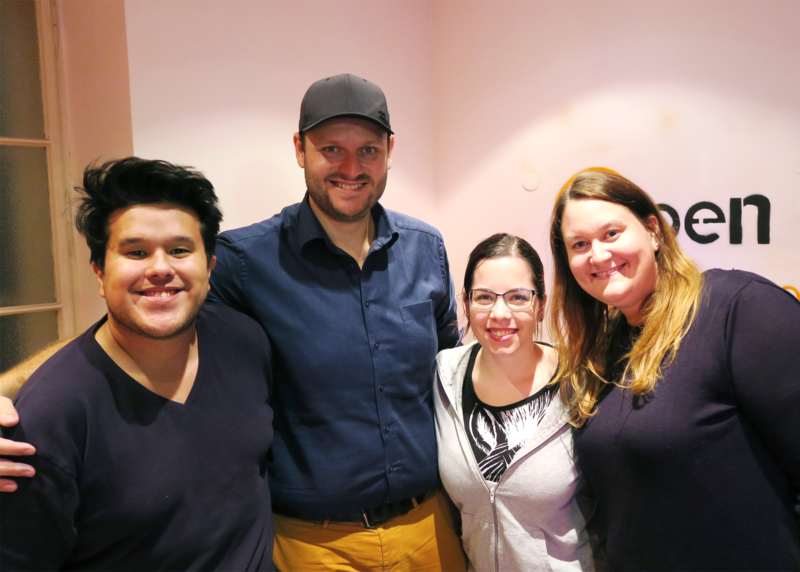 We played the game with Ken from thelogicescapesme.com, who isn’t just running one of the best known english speaking escape room blogs, but has played more than 300 games (and counting – who knows by now?). We were also joined by owners from Fox in the Box Vienna and Crime Runners Vienna. A pretty cool group with a lot of Escape Room knowledge, but did we manage to slay the dragon? Or did we stay trapped in the dark tunnels forever? As a student of a wizard you’ll find out that your teacher is evil. What can you do? You have no other choice than to compete against him! This is not easy and involves many challenges. The Master discovers your plan and challenges you! You get an hour to prove yourself and defeat his magic. Find the place where he keeps the source of his power. You will also need to find three magical elements to succeed against him. Everything is in your hands – use your mind and a bit of magic! We started the game with a short introduction by the gamemaster, after which we were brought into the room and the clock started. The theme is nice and refreshing. I am always happy to find something else than Prison, Bomb or Secret Agent. The room did involve finding codes for locks, but it also had other puzzles to solve, which is nice. The production level was okay – you saw the effort that went into building the room, but the immersion level could still be higher. Once you actually started to go deeper into the room(s), the “Magic”-Theme came into play way more than expected. 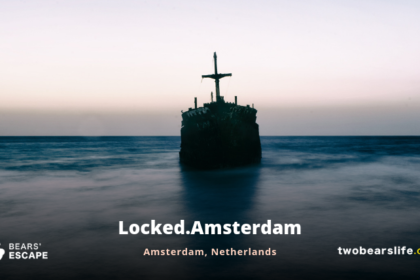 While most of the puzzles and tasks were very straight-forward, we did sometimes struggle to connect the solution of a puzzle to the correct lock. We also had some issues with a color-puzzle in the later section of the room – we would advise to choose some colors with clearer contrast, because color is subjective (to a certain degree). Although we had some minor struggles in the room, we did enjoy our time very much. The light is dim, the air is stifling and you are trapped. The moldy scent of the dungeon makes you shudder, and from afar you hear a loud growl. You have no choice: you must free yourself and escape. Perhaps you’ll find an old secret passage in the castle? No matter how, the way past the Dragon’s Cave needs to be gone and what lurks there in the dark, you will only believe, if you have seen it with your own eyes. Hopefully it is not your last sight! After getting our short welcome and briefing in the lobby of Open the Door, we were escorted out of the main-building to another part of the house – the Dragon Cave has its own entrance. After receiving our game introduction, we were all handed blind folds – and i could see right away that Alex was not happy. Blind-folds mean scary rooms most of the time. But our gamemaster promises us that the game is not scary and so we proceed. 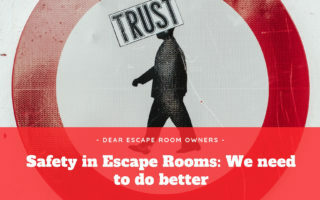 After being led into the escape room by our game master, one player of our group was singled out (me – of course) for a special placement, while the rest was chained somewhere else. After the game started, we were allowed to remove our blindfolds. Or to be more specific – everybody else was allowed to do that. I couldn’t – but it didn’t take long until i was able to join the group. The first game element is a great start and helps to get the group communicating right away. You can’t get started if you do not work together right from that moment. The gameflow works really well after that and we only hit 2 roadblocks where we got stuck for a short time. The bigger one was a moment where we solved a task, something happened, but visually we looked somewhere else and didn’t see what we were supposed to see – hence we did not know what to do. We got help though, so we didn’t lose too much time on that one. The room transitions are well done and rather physical – the warning on the website is not without a reason: this game is not suitable for people with limited physical ability, claustrophobia and pregnant women (??). While I am not so sure about the last one, I guess it is better to go for this game once the baby is out. But in all seriousness – this room is a big step forward design-wise from the Magician. There are also a lot of tasks and puzzles in this room, so it makes sense to give teams 70 minutes to finish the game. In the end, we did slay the dragon in a nice final moment (we love when we get those) and had 20 minutes left on the clock. We really enjoyed this experience. 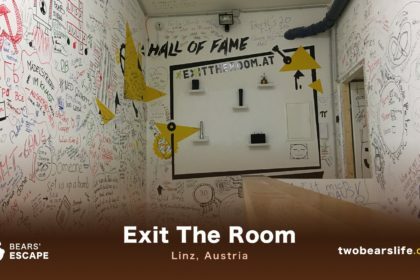 Open the Door in Vienna is a owner-run Escape Room, of which we have met both. They clearly have a lot of passion for the industry and you can feel that in their rooms. We have played two of them by now of which the Dragon Cave is our clear favourite. 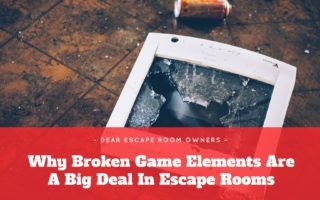 It is their newest room and you can see that they have learned a lot from the experiences with their other games. It is also on the harder side – so we would suggest to start with Museum or Magician and then go for the Dragon Cave after. Or go directly for the Dragon if you are an Escape Room enthusiast who looks for a new challenge. We would recommend a group of 3 to 5. 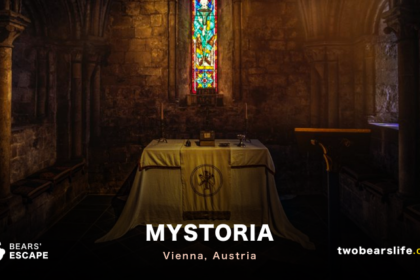 The location is reachable by public transport and is located in a typical Vienna building that houses flats and offices. All games are fully playable in english and we also had a great conversation with the owners afterwards. The production value is not high-end (yet), but they know what they are doing and you see the amount of thought and time that went into the games. We had a really good time – especially in Dragon Cave. 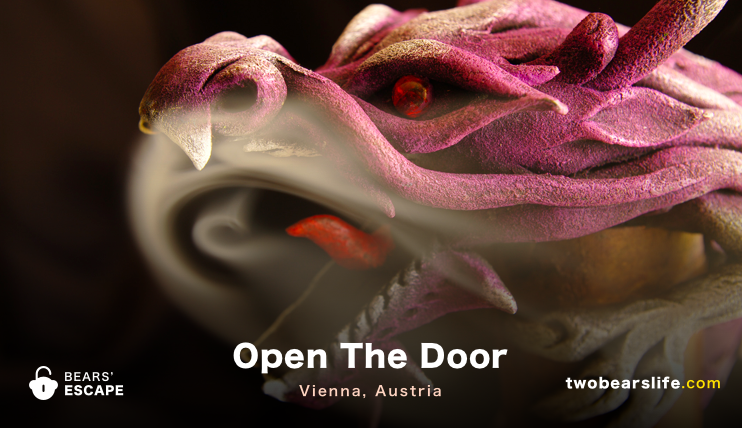 Open the Door in Vienna offers 3 games as of writing this review – Dragon Cave is their newest one. While their rooms are not offering the highest production values in Vienna, we did have a great time in both of them. The Dragon Cave especially shows a great evolution and a big step forward in game and room design for them. The owners are very nice and always up for a short talk. All games are playable in english and you can ask for help whenever you feel like you need it. 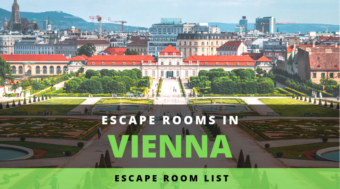 Dragon Cave is one of our top rooms of Vienna – so check it out if you have a chance. Thank you for your review, feedback and also for a nice time we had after the game ! We are happy to inform you that the problems you have faced in the Magician Room have been solved long time ago 😉 We also did a lot of upgrades to provide a better quality and immersion by adding some more magical elements in the game and improving the decoration. The quality of the game is much higher comparing to the one you have played. The Dragon Cave also had some decoration upgrades since you have played. It’s great to hear the Dragon Cave is one of your favourite games in Vienna. We hope to surprise you more in the future!